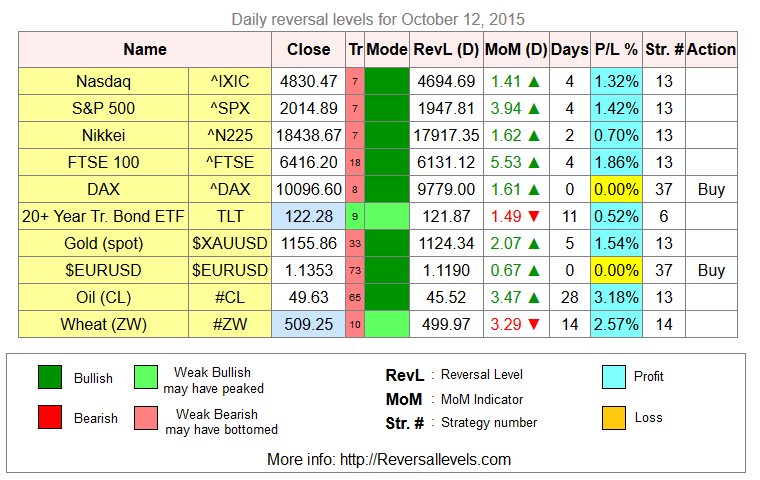 The latest weekly reversal levels are out and available here (pay what you want). * Buy signal for DAX. 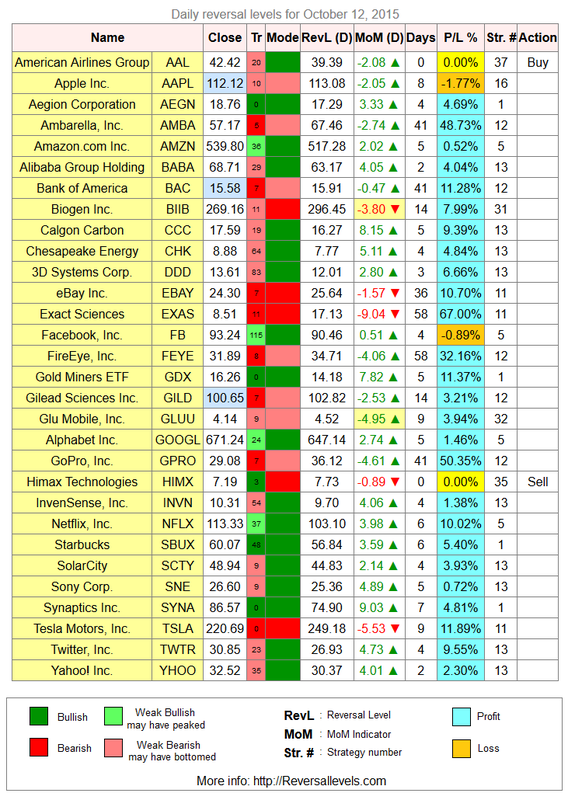 All major indexes are now in bullish mode. * Buy signal for EURUSD. Euro had a failed rally recently. Makes another attempt. * Buy signal for AAL. * Sell signal for HIMX.